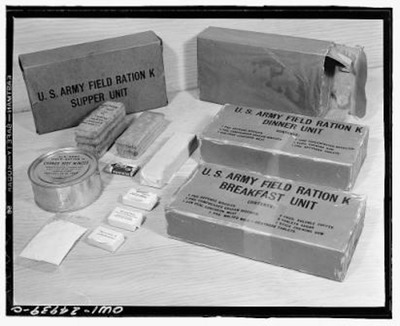 Early presentation of the new adopted K ration, late 1941. Note the rectangular cans. K ration with some components opened, late 1941. Note that all canned products are of a meat variety. K ration with the Supper unit opened. The rectangular cans are now replaced by the round cans. Early 1942. Breakfast. New "morale" box with brown printed design, mid 1944. Dinner. New "morale" box with dark blue printed design, mid 1944. Supper. 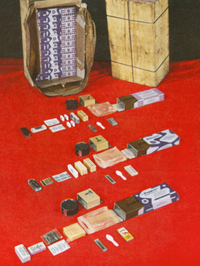 New "morale" box with dull green design, mid 1944. Complete K ration with shipping case laid out as of end 1944/begin 1945. 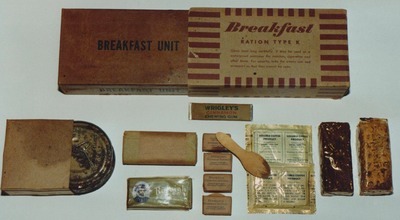 Breakfast, late 1942 or early 1943. It still has the longer fruit bar, but already the sleeve for the can. 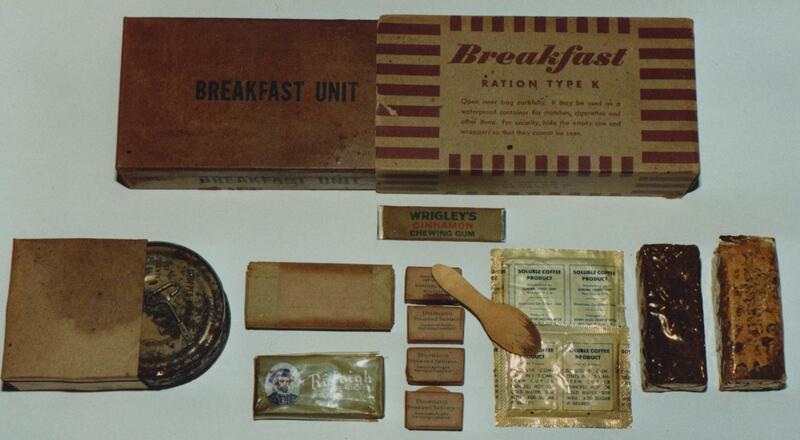 Breakfast, late 1944/early 1945. The cereal bar is missing here. Dinner, late 1942. Erroneously there is an envelope of coffee instead of the lemon powder. 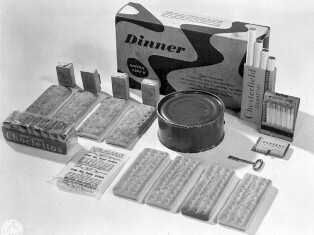 Dinner, end 1943. By mistake there were two types of chewing gum inserted in the ration and the two packages of the small bisciuts were substituted with a package of square biscuits. 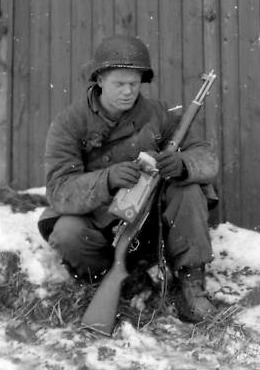 Dinner, mid/late 1944. Again the square biscuit substitudes the small biscuits. The outer "morale" box is missing here. 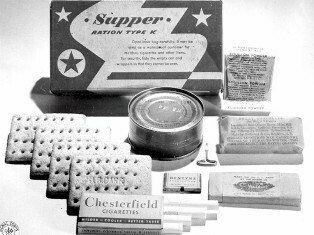 Supper, end 1944. Although the coffee and sugar are include, the wooden spoon was not yet introduced. The K ration has become popular with reenactors and are therefor widely reproduced. When recreating that particular GI image, you can not do without the notorious K ration. These ration boxes are offered thru the internet or can be purchased at gun shows. 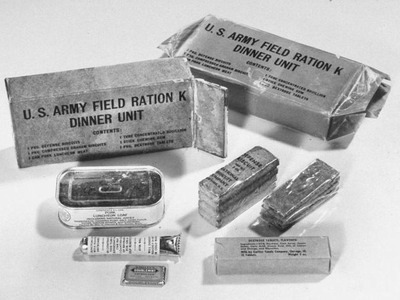 These are usually the inner and outer K ration boxes only. But they can be filled with anything you like to eat. The best is, of course, with components that resembles the original contents. 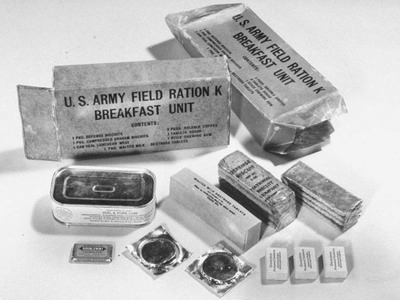 The following article will shed a little light on what and when was included in the K ration. With the new parachute troops there was a need for a lighter ration then the standard C ration. Six of these cans were a complete ration for one day, but weighted combined 4.4 pounds. 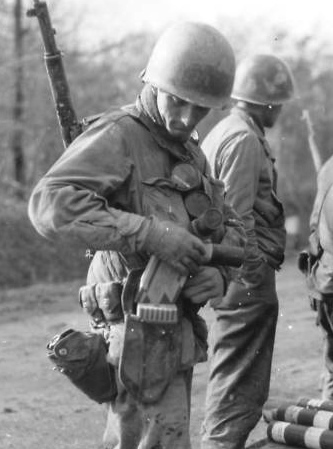 Obviously there was a need for a lighter and less bulkier ration for use by such units as parachute troops. 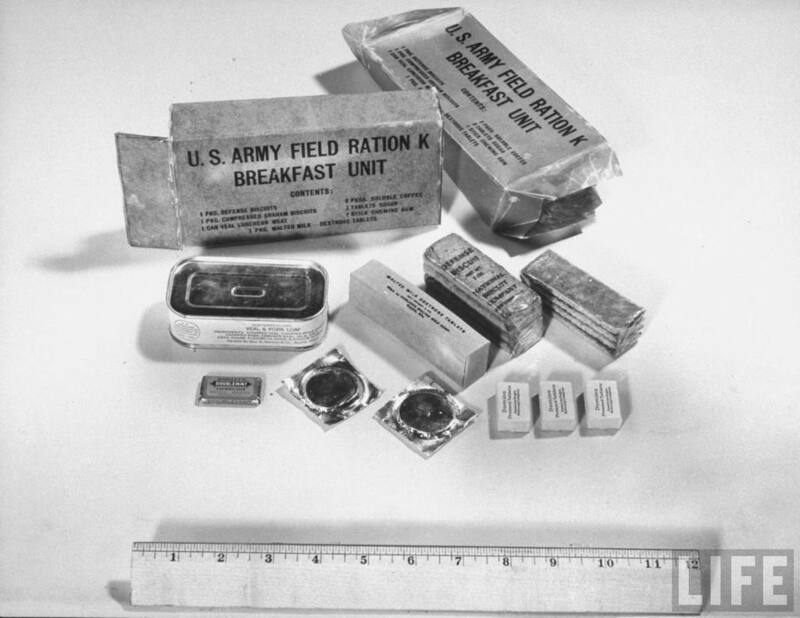 Tests were conducted by Dr. Ancel Keys, and the first “parachute” ration consisted off pemmican biscuits, a stick of chewing gum and a canned meat product for each meal. There was soluble coffee for the breakfast meal, with malted milk tablets and sugar cubes. 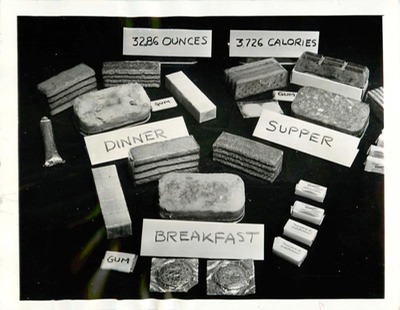 For dinner there was a tube of bouillon and dextrose tablets to be added and to complete the supper meal a slab of D ration chocolate, a lemon powder drink and sugar cubes were added. 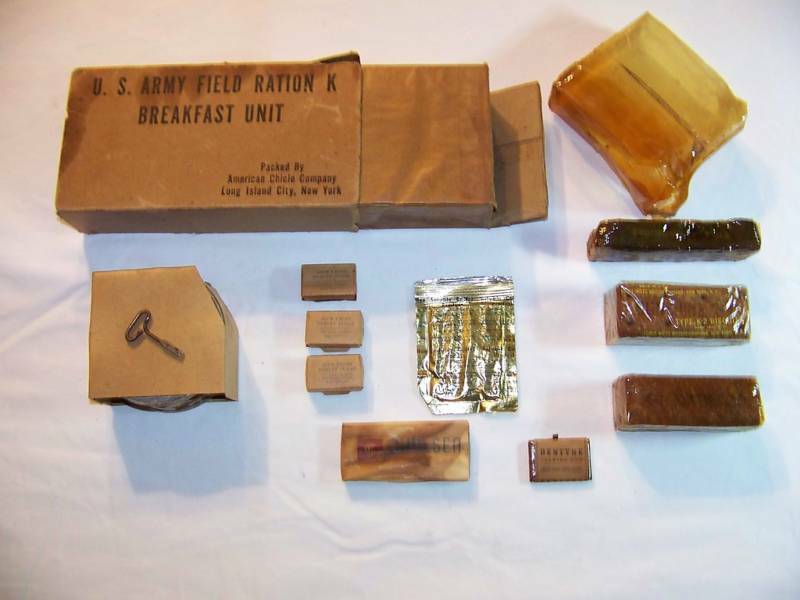 First called the para-ration, it was soon standardized as the K ration. To make a clear, phonetic, distinction from the previous rations the letter K was chosen, hereby, unofficially, honoring Dr. Keys. The first problem encountered with mass production was the availability of the rectangular cans. These cans could not be obtained in enough quantity from (commercial) firms. As an alternative, the round 300 x 106 (3 inch in diameter and 1 6/16 inch in hight) size can was tried. This became the standard can for the K ration. The soluble coffee was disliked by the men, complaining that it made a too bitter brew. This problem was elevated by substituting the soluble coffee for a soluble coffee product, called Nescafé. This product was recently developed by the Nestlé brand and consisted of soluble coffee with flavorings added, making it a less bitter drink. Later several other brands were included as well. It was also suggested that the coffee was replaced by a cocoa beverage, but was turned down because there was already enough chocolate in the ration. 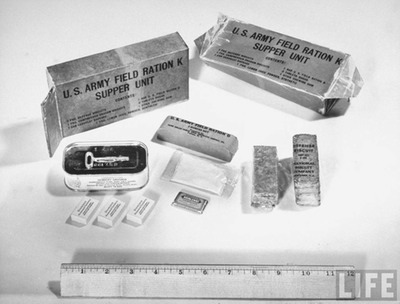 A fruit bar was developed to add some vitamins to the rations. In the spring of 1942 this fruit bar replaced the dextrose tablets in the Dinner unit. Soon the fruitbar was switched with the malted milk and dextrose tablets from the Breakfast unit. During the fall of 1942 the inclusion of such items as toilet paper, cigarettes and matches were discussed, and was eventually approved. 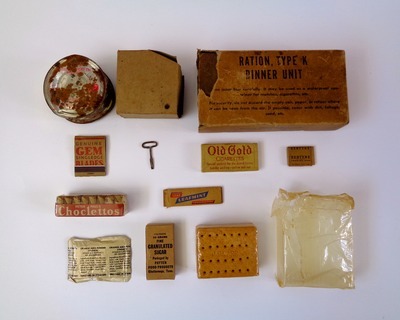 Inclusion of these items were gradually incorporated into the assembly line in 1943. The unit boxes were marked on both the main panels with "U.S. Army Field Ration K, Breakfast Unit (or Dinner, or Supper). with the packing company's name and addres on one of the side panels. Sometimes the company's name and addres was placed on the main panel as well. Early 1943 one of the main panels contained a list of the contents. 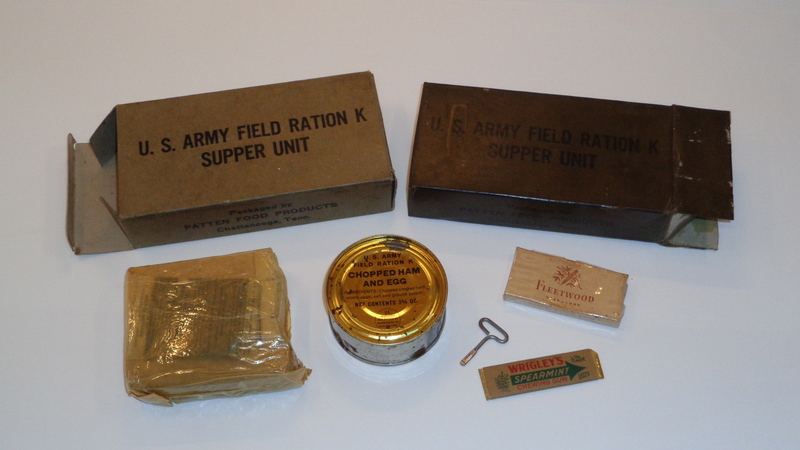 As of May 1943 the nomenclature of the K ration changed to "Ration, Type K". In each unit was a small package of four cigarettes included, as suggested in the summer of 1942. 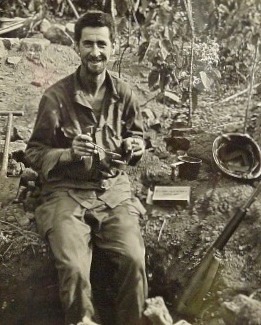 Back then cigarettes were considered just as essential as food and ammunition for the fighting soldier. Soldiers serving overseas were to receive plenty of cigarettes for free! 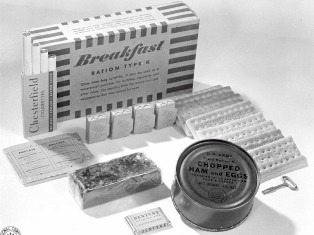 Some brands included in the K ration are: Chesterfield, Old Gold, Raleigh, Fleetwood, Camel, Philip Morris, Chelsea and the famous Lucky Strikes. The biscuits, beverage, sugar and confection were to be sealed in a cellophane bag, giving extra protection against moister and (poison) gas. Initially the chewing gum was packed inside the bag, but spoiled the other components with its typical mint flavor. To solve this, the chewing gum was to be placed outside the bag or was to be of the sugar coated kind. The chewing gum could be either of the stick or tablets type. Immediately changes were suggested. As mentioned above the inclusion of toilet paper was found feasible. This was done in the summer of 1943, replacing the sugar cubes in the supper unit. (The salty bouillon and sugar didn't go well together anyway!) The sugar in the two remaining units was increased from three to four tablets. Earlier the same year the inclusion of a book of matches in the dinner unit was approved. The substitution of granulated sugar for cubes was approved and a package of 23 grams (0.8 oz.) was to replace the sugar cubes in the dinner unit. The malted milk-dextrose was not popular with the troops and some form of confection was used to replace the tablets. Preferably a hard candy that could be fortified with vitamins, until now only the lemon powder was a source of vitamin C. The production ability for hard candies wasn't adequate at the time and therefor caramels (a caramel flavored candy that recently developed for the C ration) were approved and added. Also, several types of sweet chocolate products were used. Because there was a wide variety in candies approved and used, they were usually listed as “confections”. Five types of biscuits were developed to add more variety to the meals, and to replace the K1 biscuit, which was the least popular. Finally four of the new types were standardized. It was found that the edges of the cans would cut through the inner waxed box, hereby destroying its protective quality. To prevent this, the can was first inserted in a protective cardboard sleeve, with the matches tucked at one end of the can and the key on the other end. The cigarettes were slipped between the sleeve and the box. By order of October 1943 all cans would be of the camouflaged type. The cans were to be coated with a corrosion resistant, non-reflective coating. This does not means that from October on all cans were of the OD color type. First the stock of the gold lacquered cans was to be used up before the production was changed to the new camouflage coated cans. The most distinctive change was, of course, the introduction of the “morale” boxes. 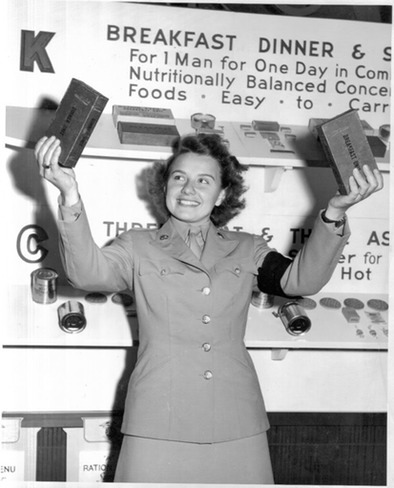 To make the packaged meals more attractive, all three units were to have a different design and color. This would also facilitate identification and distribution in the field. These colors were not to be bright, yet they still were to be distinctive for easy identification. The breakfast unit had a brown (sometimes referred to as red) design, the dinner unit blue and the supper unit a green design. This was approved in February 1944 and went into full production in May. The colored boxes appears at the battle fronts late August, early September. By this time the lemon powder drink was supplemented with more varieties, such as orange, grape and grapefruit juice powder. 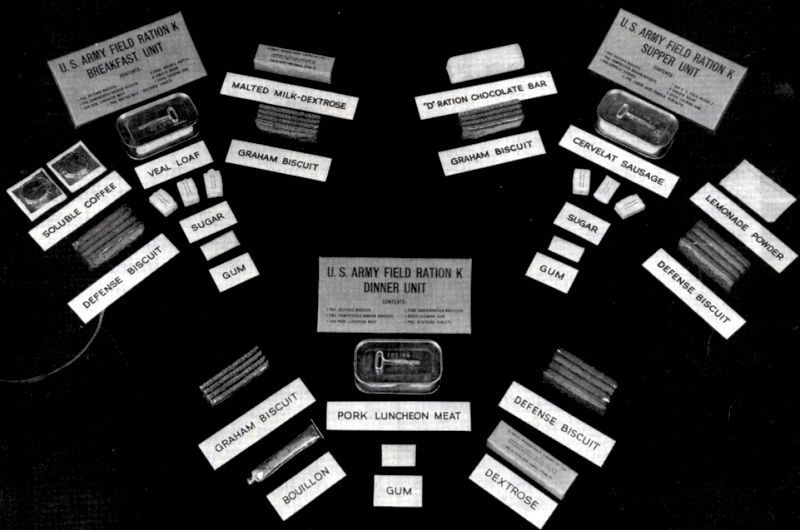 The “D”ration bar proved to be unpopular and was to be replaced with a sweet chocolate bar. Also, around this time the two packages of biscuits in the supper unit were replaced by one package of a larger, more square kind of biscuit. This biscuit is known as the “C square” biscuit. From battle experience it was learned that sanitation (and sanity) was hard to keep on the front lines. It was requested that there would be some kind of disposable mess gear developed. To anticipating this problem a wooden spoon was included in the K ration at he end of 1944. Late 1944 the inclusion of salt tablets and water purification tablets (Halazone) were suggested and were included in the summer of 1945. In the breakfast unit, one package of biscuits was replaced by a “ready to eat” cereal bar. This was a bar of compressed cereals and could be eaten directly or crumbled in (hot) water to make a porridge. Two packages of the coffee product were included in the breakfast unit after complaints that one was not enough. With the two packages, a soldier could make a larger amount of coffee, or a stronger brew, if desired. The amount of sugar, however, remained the same. Both the dinner and the supper unit are listing confections. This could be for the dinner unit a candy bar such as the Milky Way bar. Two 1 oz. 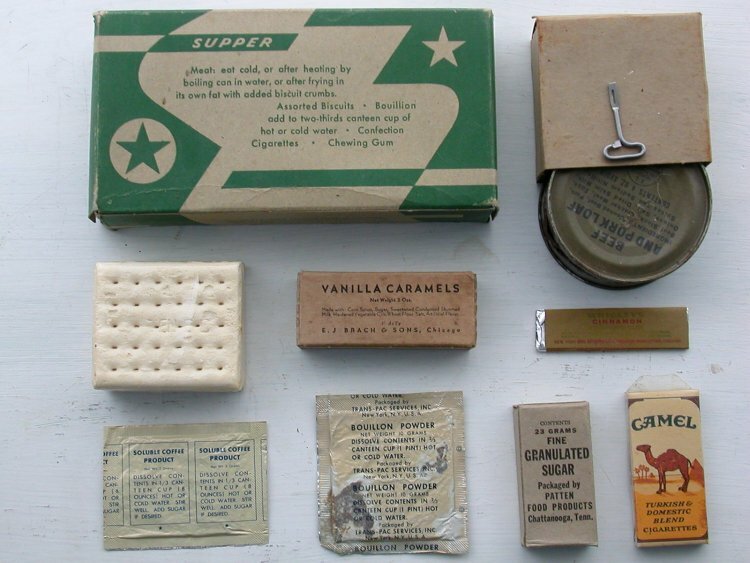 sweet chocolate bars or one package with caramels, either chocolate or vanillin flavored, were included in the supper unit. 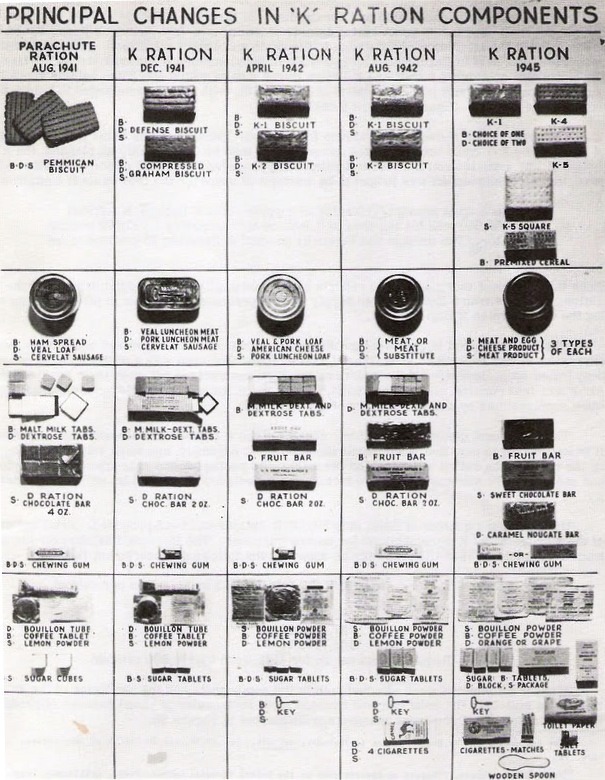 The Army was continually looking for more varieties for the canned component. Finally there were 15 varieties, some used for a short period and for some its even doubtful if they were ever incorporated in the ration. The key used to open the cans were of the wire type. 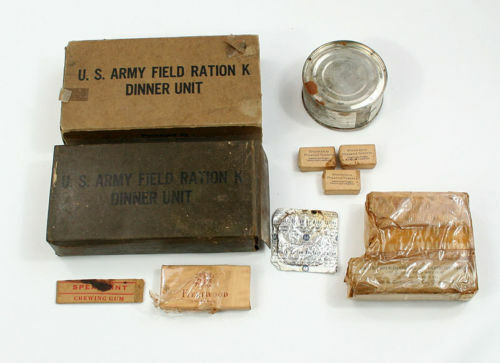 The famous P38 opener was not included in the K ration, but came with the 10-in-1 ration and the C ration accessory kit. 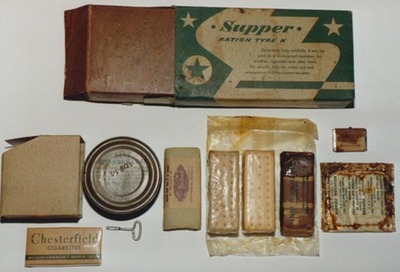 Twelve K rations (36 units) were packed in a cardboard box, this box was to be placed in a wooden shipping case for overseas shipment. One must keep in mind that all the changes were to be incorporated in the production lines without slowing down the production process. This could vary with all the different packing plants. All kinds of small differences in the contents can be observed, due to these change overs in the production process and packers lines. As shown in the pictures next and below, the Army had the obligation to the public to keep them informed about the welfare of the troops. The people needed to know that their loved ones were taken care of. 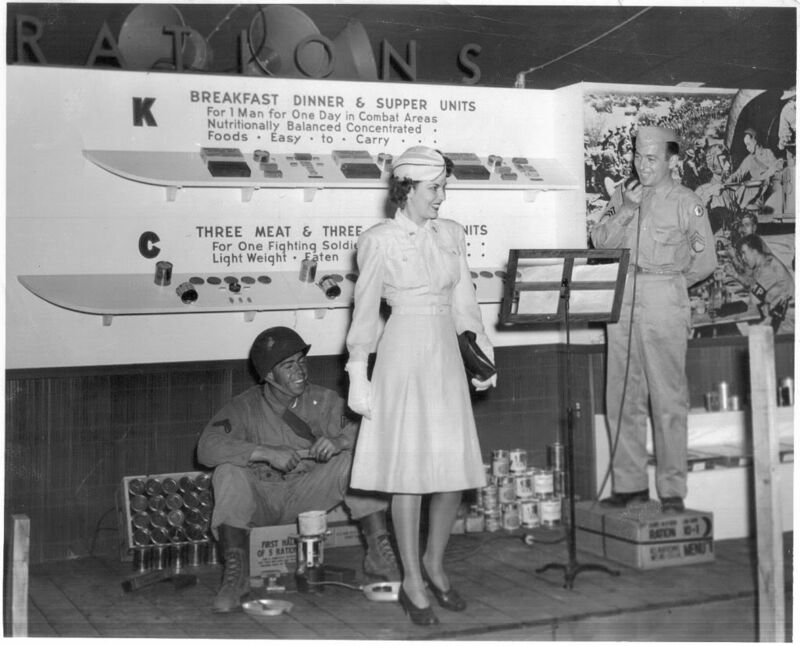 To inform the American people the Army held exhibitions were visitors were shown with what the American soldier was fed in the field. It is said that the American army was the best fed army of the world. Tell that to the poor GI who had to live on these ration week after week. Although the K ration was developed as a combat ration and to be used only for a few days, the Army placed to much faith in the fact that it was a balanced meal, with all the necessary nutritions. Therefor it was issued as a staple diet for the combat soldiers. It provided enough calories to keep a man going, but it lacked bulk. It didn’t filled the stomach and the soldier kept a hungry feeling. 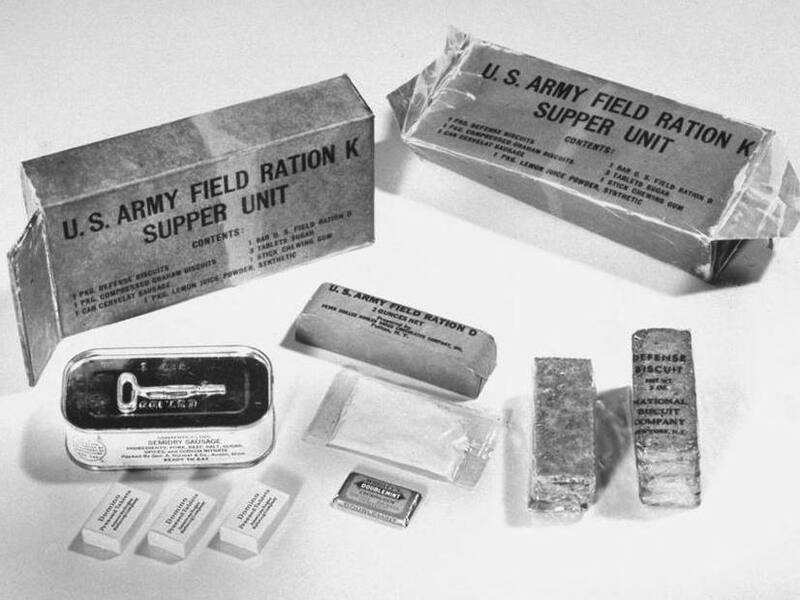 As a side effect of prolonged use of this highly concentrated ration, the soldiers stomach couldn’t handle normal rich food any more. 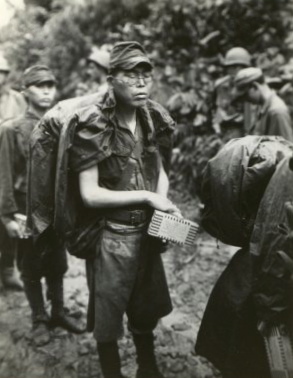 After coming off the line and being fed at rear echelon mess facilities, the GI’s usually got sick with cramps and stomach ache and came down with the “GI’s” (diarrhea). A change approved such as with the morale boxes in February that went into full production three months later, can only be observed in the combat photos taken from September on. So, one has to keep in mind that when something was officially approved and taken into production, it doesn’t mean that the next day it was supplied to the soldier half way around the globe. Still until the end of the war, the old boxes with varying contents were in stock and issued along with the new ones. 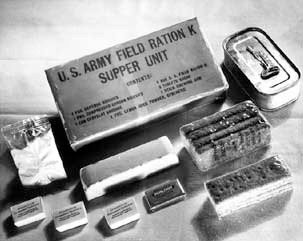 Official publication of the evolution of the K ration. Although showing the early development, it completely ignores the (minor) changes made in 1943 and 1944. When the war ended, the U.S. Military found itself with vast amounts of stocks of rations. Some were given to the populace of liberated or defeated countries to elevate the food shortages. Other rations were sold to countries who had to fight for their colonies, like the Dutch in their Dutch East Indies and the French in Indo Chine. In 1947 the K ration was declared obsolete by the U.S. Army. But even in the early days of the Korean conflict, surplus stocks of K rations were used until the new C ration was into full production and could be supplied. 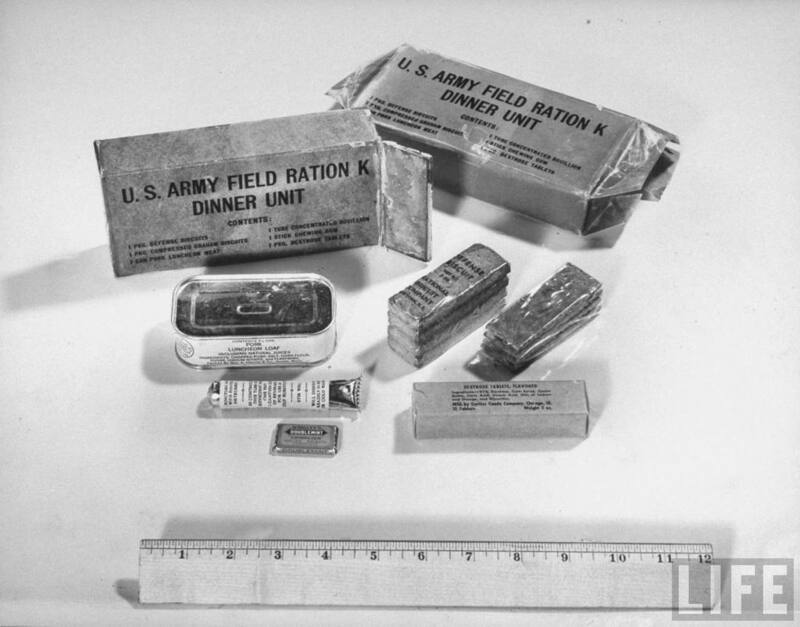 The United States army released an interesting short movie about its rations. Its a ten minute promotion movie called: Food For Fighters. 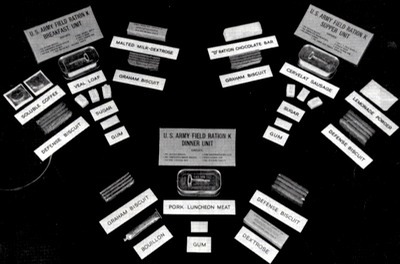 Shown is the food preparation and assembly of several ration on a assembly line. Also, note how the crates are stenciled.